partnered together to address fish passage barriers in Mercer and Powell creeks within the Beaver Cr sub-basin. Two undersized pipes were removed and replaced, cumulatively providing access to more than two miles of fish habitat. 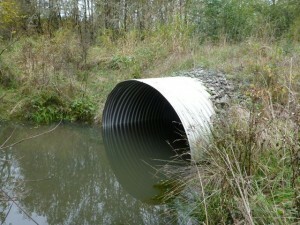 Support for this project was provided by Oregon Watershed Enhancement Board and Benton County.